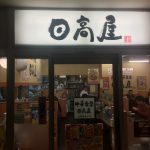 In this blog, I have once written that Soba, Japanese traditiontal noodle made from buckwheat flour, was a fast food in Edo era (17th to mid 19th century) in Japan. However, it doesn’t mean soba noodle is just a simple food without any sophistication. In the contrary in Tokyo in Edo era many master chefs of soba noodle had been making continuous efforts to cook the better soba and such efforts reached to 3 different cooking styles of soba noodle. 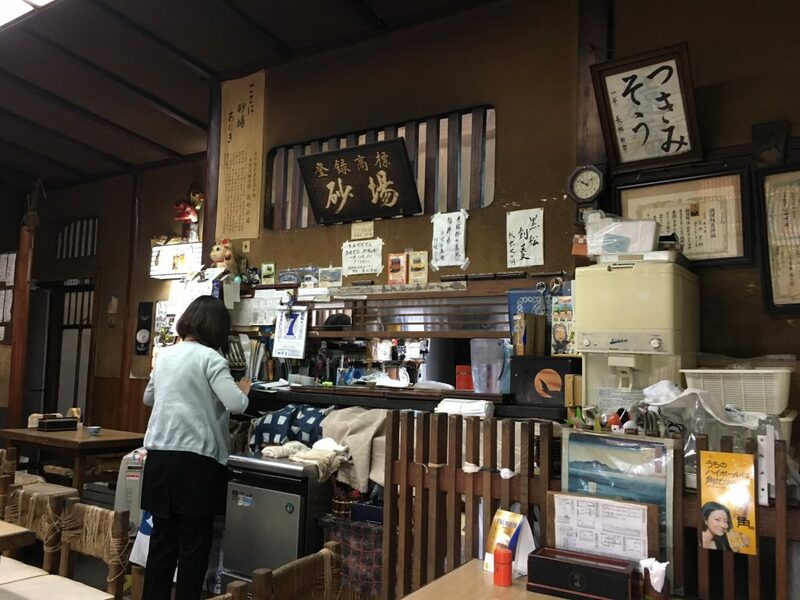 Now in Tokyo, there are still some soba noodle restaurants which keep each traditional style. 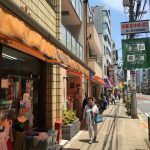 Minowa is an area in northern Tokyo where traditional shopping street are still well used by local people. 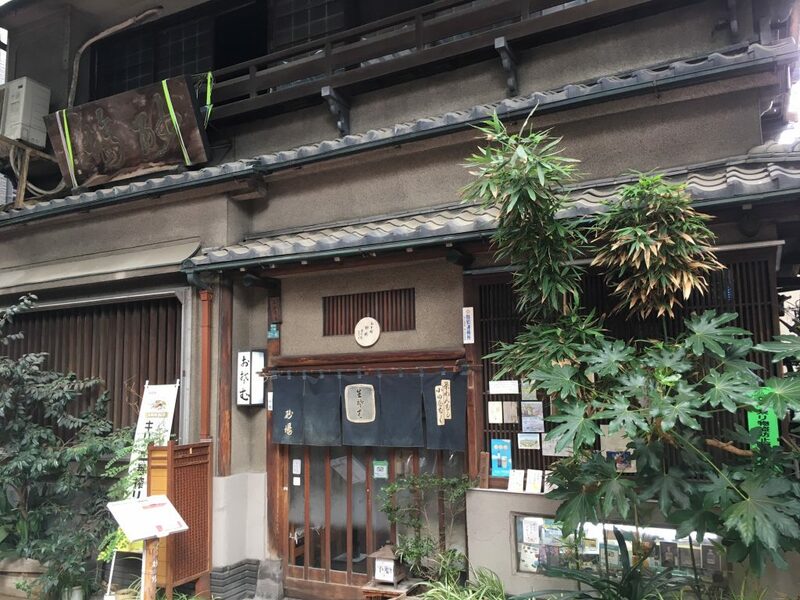 And at a corner of the street there is a soba noodle restraurant Sunaba-Souhonke whose building was built in 1912. Sunaba is one of 3 styles of cooking soba noodle in Tokyo (the others are Sarashina and Yabu). And it is said that Sunaba is the oldest style stemming from the location in Osaka to build Osaka castle for a famous Shogun Hideyoshi Toyotomi in the 16th century. Once we enter the restaurant, we can feel such tradition even from the interior of the restaurant. In each traditional soba styles, chefs make soba noodle from buckwheat flour manually. And each process to cook soba noodle is slightly different among each styles. But in common soba noodle in Tokyo styles are known as long length of each noodle and crisp feeling on month. Traditionally people in Tokyo have been enjoying sucking in such crisp soba noodle making a big noise. Differently from Western culture, it’s never rude to make a noise but an appropriate way to enjoy feeling the noodle into mouth and down throat. 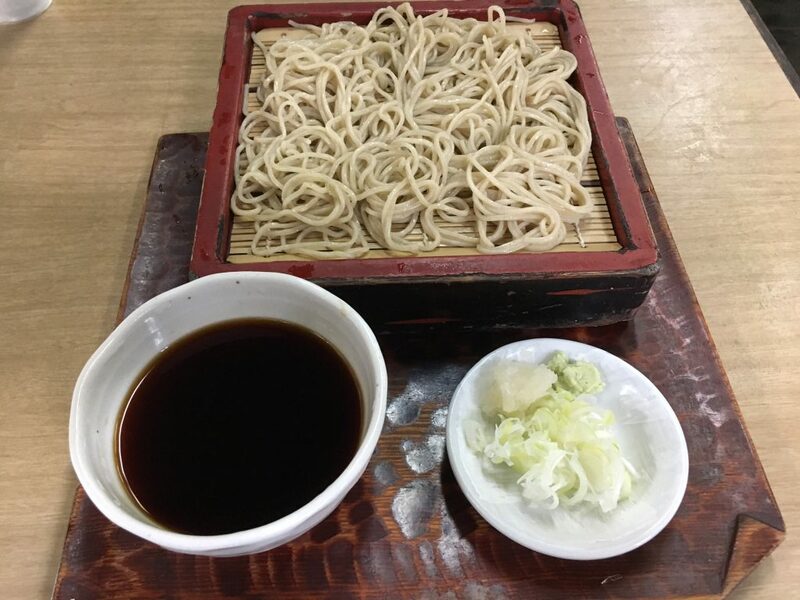 To be honest, I as a person from a country side of Japan like Inaka Soba (country style soba noodle) better, which has a feature of more chewy mouth feeling and stronger flavor of buckwheat. 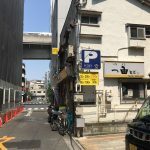 But when I see local people in Tokyo eating Tokyo traditional soba making a big noise, I would feel a sense of “Iki” (sense of sophistication in old Tokyo). When you have time, you can enjoy not only soba noodle but also Tempura. 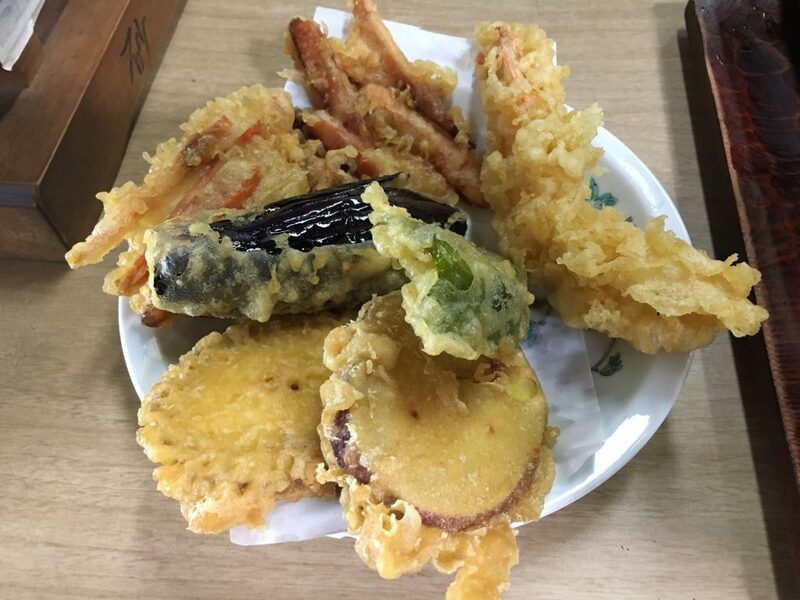 In the centuries, Tempura has been considered as one of the best matches with soba noodle. It’s also cool to drink Sake little by little while eating soba noodle and tempura. When you think to eat some traditional food in Tokyo, why don’t you consider soba noodle as an option. 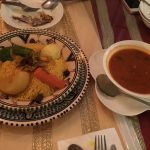 Although it looks simple, it has a long tradition for chefs as well as people to eat it.